A study led by a Loyola University thoracic surgeon finds that almost all patients who have a type of pleural mesothelioma surgery known as pleurectomy and decortication (PD) tend to enjoy a better quality of life afterwards, regardless of their starting point. Pleural mesothelioma, an intractable malignancy linked to asbestos exposure, affects the membrane that surrounds the lungs. As a mesothelioma tumor grows, many patients experience life-limiting symptoms such as shortness of breath, fatigue, weight loss, cough and chest pain. PD is designed to improve symptoms by removing the diseased pleura and other at-risk tissues. As the new study found, PD can not only turn many of the most bothersome mesothelioma symptoms around, but can also give patients an emotional boost. To measure the impact of mesothelioma surgery on quality of life, the research team enrolled 114 mesothelioma patients who had PD. The patients ranged in age from 50 to 88, with a median age of 70. Most of them were experiencing some of the symptoms mentioned above that had an effect on their ability to function (performance status). 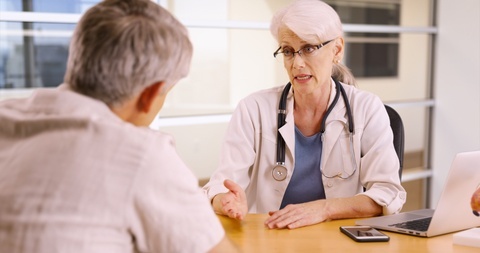 The mesothelioma patients were given a quality of life survey to measure physical, emotional and cognitive function, as well as general symptoms, illness-associated problems such as financial concerns, and overall health. After their PD surgery, patients were surveyed at one month, 4 to 5 months, 7 to 8 months and 10 to 11 months. The news was good. Although the quality of life for the best functioning mesothelioma patients took a dip in the month immediately following surgery, all of the patients – regardless of their presurgical performance status – bounced back after a month and experienced improved quality-of-life over time. Even patients who, prior to surgery, were in the worst shape and/or had the largest tumors, experienced significant improvements in their quality of life after surgery. “The net benefit of pleurectomy and decortication justifies the procedure in the majority of patients with malignant pleural mesothelioma,” says Dr. Wickii Vigneswaran, MD, division director of thoracic surgery at Loyola and leader of the team that conducted the research. The results were presented at the recent meeting of the American Society of Clinical Oncology.